The Philadelphia Flyers all-time team leader for points per game along with points per game in a single season, Eric Lindros also holds the team record for the most goals in a season by a rookie, with 41. 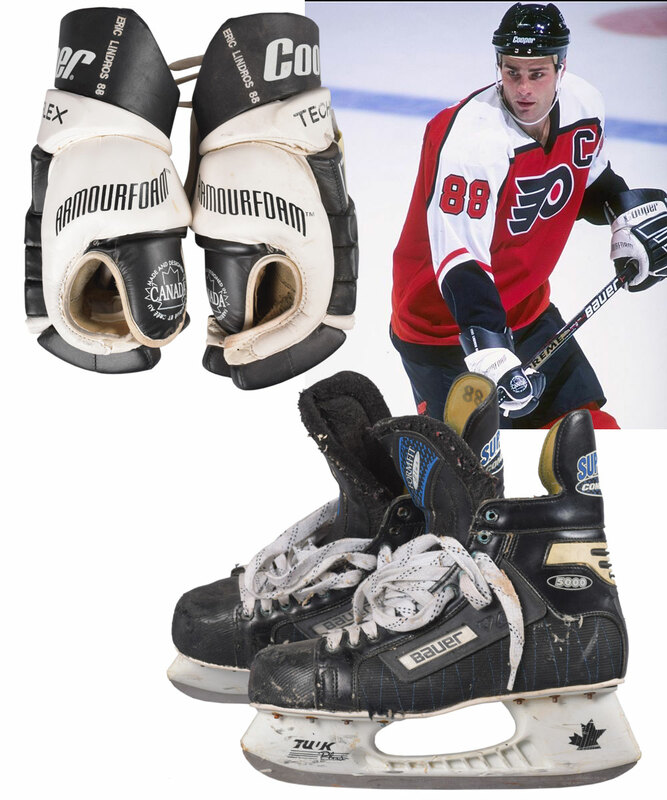 Originating from his time in The City of Brotherly Love, we have a collection of game-worn Lindros items including skates, gloves and pants along with its shell. The Bauer Supreme Composite skates are from circa 1996-97, with “88” handwritten inside each, with the number again added to the underside of the left skate. With screened-on identifiers and Tuuk blades, the skates shows moderate use, with salting of the eyelets along with some rusting to the blade bolts. 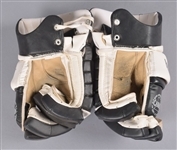 The gloves are Cooper Techniflex models from circa 1995-96 with “Eric Lindros 88” embroidered onto each, with moderate wear visible along with an affixed piece of paper with “95/96” handwritten. A signed LOA from Eric Lindros will accompany. The pants were made by Cooperall with heavy wear and some light soiling, while the pant shells were made by Bauer with XL tagging, with an embroidered logo over the reverse right pant leg.